As an L.A. native, I am always excited to see when people are erecting landmarks that will get people out of their cars and walking the streets. Eric Owen Moss is a Culver City-based architect doing just that. 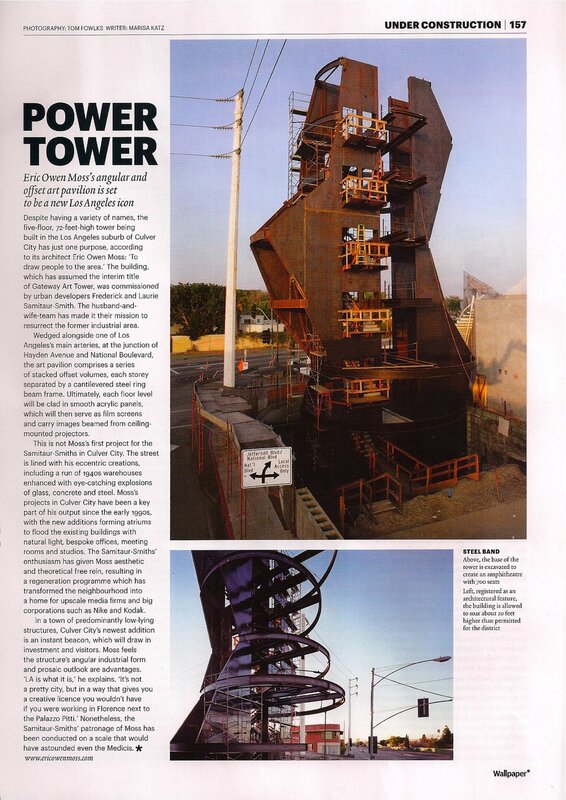 Here is my piece in Wallpaper* talking about his new iconic Samitaur Tower.